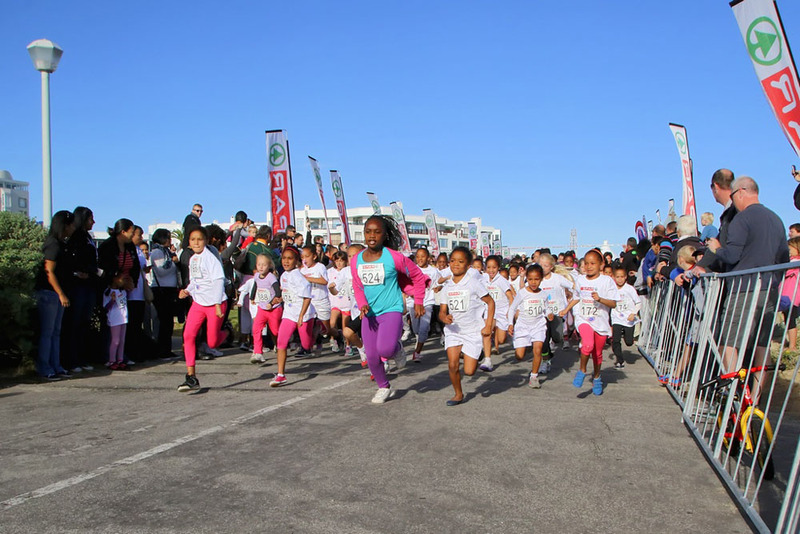 Started as an experiment six years ago, the SPAR Little Ladies race has become an integral part of the Women’s 10km Challenge in Port Elizabeth and is again set to attract a big entry. This year’s event takes place on Tuesday (May 1) from the grass area at Pollok Beach in Summerstrand, giving the younger generation a chance to show their paces. It will act as a curtain-raiser to the biggest road race in the city, with thousands of women, plus a few men in drag, preparing to tackle the 10km and 5km events on Saturday, May 5. 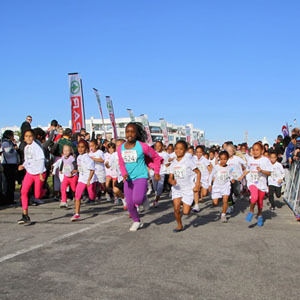 The idea behind the 2.5km challenge along PE’s iconic beachfront is to cater for children nine years and under who are not eligible for the main events. Each child must be accompanied by a female guardian, who will not be part of the race. SPAR Eastern Cape advertising manager Roseann Shadrach said it was an attempt to add value to the overall offering, providing a chance for the children to experience the fun of the event. “We promote healthy living under our brand and we believe that encouraging young girls to start getting active at this age is very important,” she said. From a long-term point of view, Shadrach said they hoped the little ladies would eventually graduate to the longer events once they had reached the minimum age. She added that it was a perfect opportunity for mothers and young daughters to bond in a friendly environment while learning about the importance of exercise. The young competitors will also be informed about the environmental drive launched by SPAR EC earlier this month. This started with the Plastic Bag campaign and will continue next week when runners will be encouraged to look after the environment by recycling wherever they can. The Recycle Yourself organisation, which focuses on industrial and commercial waste management, will have specially marked bins strategically placed to ensure that the race areas remain neat and tidy. Online entries for the Little Ladies race close on Saturday and there will be 650 T-shirts up for grabs as well as medals for all finishers. The race will get under way at 9am. Next Saturday, the attention will move to the main events at the same venue at Pollok Beach. The 10km event, featuring many of the country’s top runners, will begin at 7am and the 5km run gets under way an hour later. Online entries for these events close on Tuesday at 9pm. Enter online at www.SPAR.co.za or collect a form from any SUPERSPAR, SPAR or KWIKSPAR store.